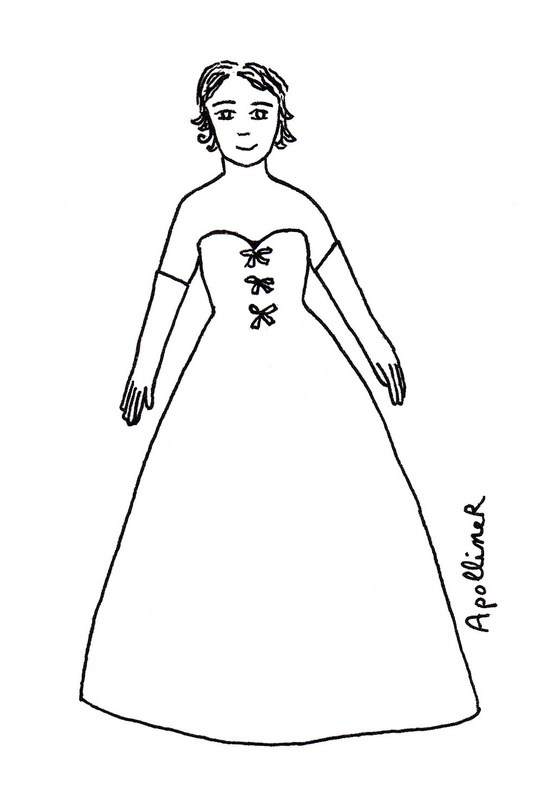 In the Fifties, evening dresses looked like princess dresses. 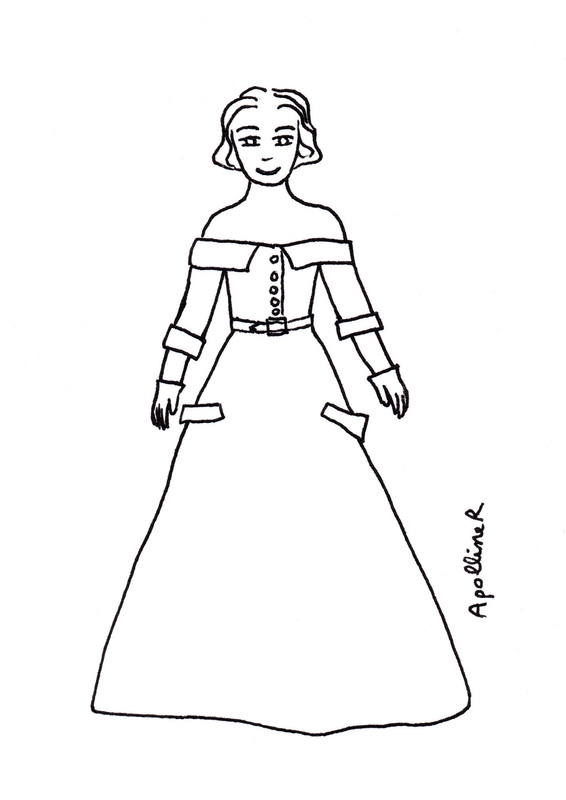 I have drawn some evening dresses that I had seen at last summer 50s Fashion exhibition in Paris. 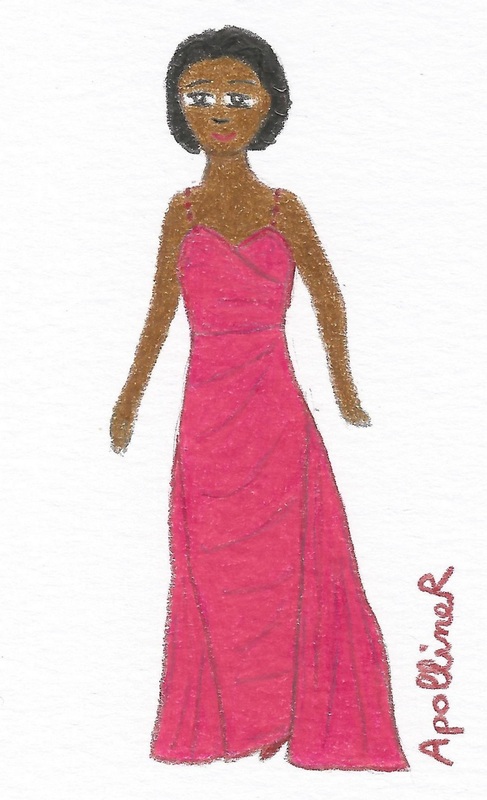 Many of those dresses are timeless, you could wear them today, as this fuchsia long evening dress with ruby red rhinestone straps by Jean Dessès. I like the originality of this Jacques Fath white long dress with bare shoulders and three quarter sleeves. There are buttons on the top and two big pockets on the full skirt that add character to the outfit. Even the fabric, a white honeycomb cotton, is unexpected for an evening gown. Fashion designer Jacques Fath was Christian Dior’s rival in the Fifties. He has been a little forgotten since his maison de haute couture closed in 1957 but he was a big name in fashion at that time. This long and wide white gown by Christian Dior is simple but effective with three ribbons sewn on the bustier. It would make a beautiful wedding dress, as the previous one by Jacques Fath. Finally, I like this modest black cocktail dress by Chanel that contrasted with all the wide dresses shown in the same exhibition room. It’s ornamented with a golden and turquoise blue brooch. This entry was posted in Fashion and tagged Coloring page by ApollineR. Bookmark the permalink.